Day to day living can wreak havoc on your rugs. 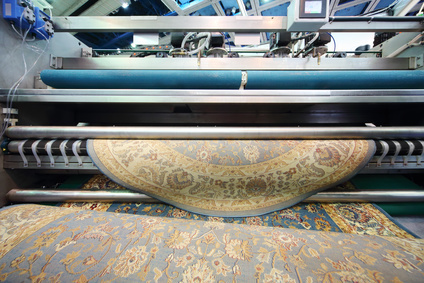 Foot traffic, pets and spills can cause odors, dust, dirt, oils and ashes to become trapped in the fibers of your rug. Regular cleaning and maintenance will help your rug last longer and stay looking its best. If you do not properly care for your rug, it will not last very long. When dirt and debris get into your rug, it will cause friction to occur, which can damage the rug fibers. We offer a complete line of rug cleaning services. If you spill spaghetti sauce, red wine or coffee on your rug, do not fret we can help. Even if your puppy or kitty has an accident on your rug, we can remove the odor and stain. Contain the spill by blotting with a clean cloth and then give us a call. Never try to clean the rug yourself. The cleaners found in a store contain harsh chemicals that can damage the fibers of your area rug. Also, never wet the stain with water as it can cause the dyes in the rug to bleed and spread the stain. Doing this can not only discolor the rug but can also damage the floor under your rug. We can clean your rugs and carpets, and gets rid of stains that you do not think can be removed. We will color test to ensure that the dyes in your area rug will not bleed when it is cleaned. Our ten-step cleaning process will ensure your rug looks like new. Each of our cleaning specialists has undergone extensive training. This means that you can count on them to clean and restore your rug. Additionally, we offer a non-toxic, hypoallergenic cleaning products that keeps your family and pets safe. If you have a specialty rug or carpet, don't worry. We have developed techniques to clean, restore and repair your most prized rugs and carpets. The type of cleaning technique we will use depends on the type of rug you have. 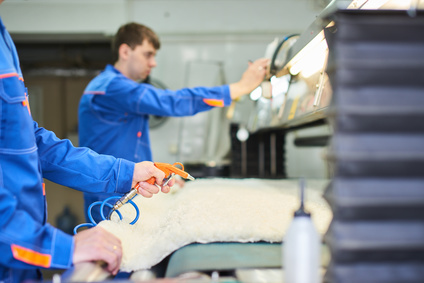 We can restore rugs made from cowhide, sheepskin, wool or silk. Whether you have a Tibetan rug, a Persian rug, an Anatolian rug, a Central Asian rug, an East Turkestan rug, a Kurdish rug or a Caucasian rug, we have the skills to make them look as good as new. Each of our cleaners and specialists can identify the material and fibers used in your rug to know the best cleaning solution. 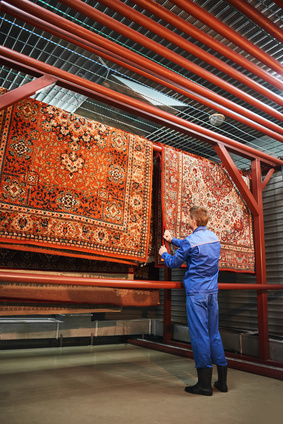 Our top of the line cleaning facility has state of the art equipment needed to restore and clean your rugs. Contact us today for a free consultation. We will give you an estimate and will pick your rug up for no cost when you decide to hire us for your rug restoration and cleaning.